Many expats trip up when dealing HMRCs complex rules regarding residency. The rules have frequently been branded as confusing, with the guidebooks offering ambiguous statements that give HMRC the ability to decide an individual’s status on individual factors, regardless if they met the ‘guidelines’. These methods have proved to be most unfavourable for expatriates who believed they had followed the non-residency legislation, only to then find they have to attempt to prove their status in court. 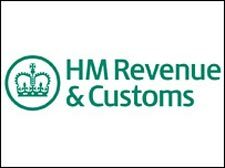 Unfortunately for these expatriates HMRC often won the cases and forced them to pay back huge amounts of money in backdated tax. Now, after volleys of criticism over the system, HMRC have changed things and introduced a clear definition of residency and non-residency. The new rules set out a clear list of what will affect your status, split into three parts. Section A, details the factors that determine residency, mainly the length of time spent in the UK. ‘Arrivers’ who spend fewer than 45 days in the UK and ‘Leavers’ who spend fewer than ten days in the UK qualify as non-residents. Section B details factors that DO make you UK resident. According to Section B people who spend more than 183 days in the country, have a main home in the country, or conduct full time work in the country, are officially UK residents. If a decision is still not reached, then Section C will look at the ‘connecting factors’. These connecting factors will be ways in which the individual has a strong link to the UK. The connecting factors are: Family- a spouse in the country, children attending school. Properties owned in the UK. Work in the UK that spans 40 days or more. Time spent in the country- with 90 days or more over two tax years considered the maximum.